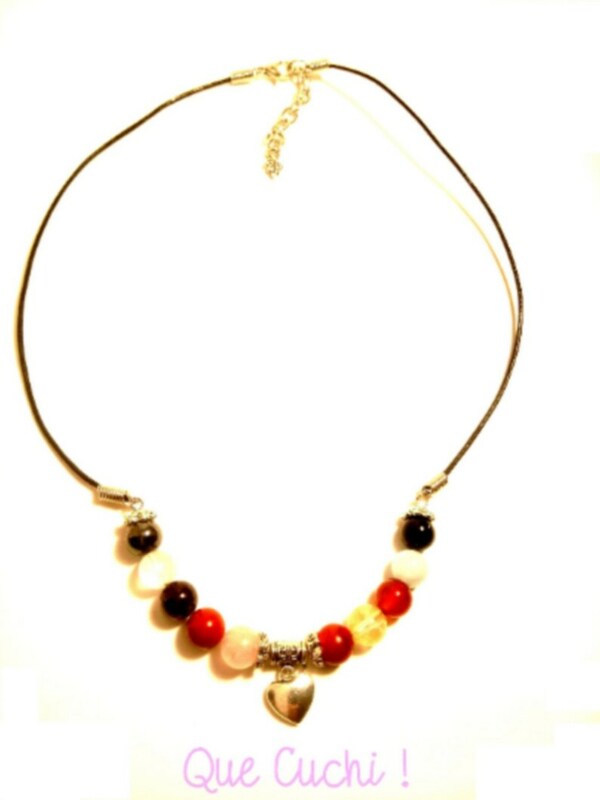 Necklace cord path of life with stone beads and a charm of your choice. Necklace hand-made to order with your list of stones already calculated to make it with black leather cord, stone beads strung on a wire, interleaves, charm to choose (see photo) and silver-plated metal clasp nickel and pearls 8 mm depending on availability of stones (first contact me to see if I have all the stones needed in "Contact the creator"). The life path, or destiny figure, indicates the kind of events you are regularly confronted with. It also reveals the mission you have chosen to accomplish in this life. Knowing this mission allows you to develop the qualities necessary for its realization. Your life path also reveals some facets of your personality. It can help you get to know you better and assess your potential. It can also help you to better understand your loved ones when you have discovered their mission of life. Accepting the mission of one's life path helps one to be in harmony with oneself. you must provide me in "Contact the creator"
Necklace braided in amethyst chips of 44 cm.